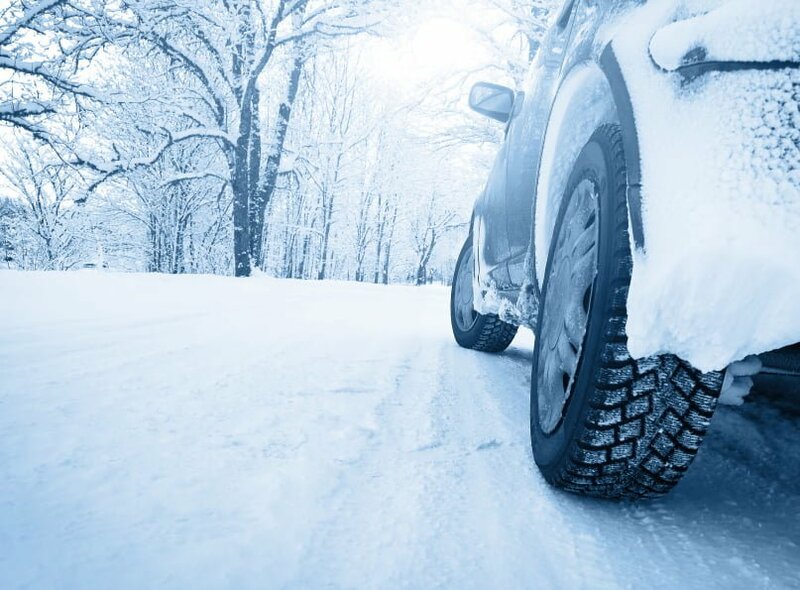 You see a lot of articles this time of year recommending some common sense things you should do to protect your vehicle and yourself in the bitter cold winter weather. Things such as keeping an emergency kit in your car along with blankets, a shovel and cat litter or sand to help give traction if you get stuck. Other common items are: have your battery checked to make sure its up to the task of starting a cold vehicle in winter, make sure your anti-freeze is rated for the cold weather expected, change your wipers and/or tires to ones designed for winter. These are all great ideas, and we highly recommend them. 1.) Ice-proof your windows with vinegar: Do you want to prevent that early morning frost? Just fill a spray bottle with three parts vinegar to one part water and spray it on all your car windows at night. In the morning, they’ll be clear of icy mess! How does it work? Vinegar contains acetic acid, which raises the melting point of water, which prevents water from freezing. Wake up to an already frozen car? Just spray the mixture on your windows & watch it melt! 2.) Fog-Proof your windshield with shaving cream: Shaving cream creates a protective film on the glass that prevents fogging. Spray a little on the inside of your windshield and wipe it off with paper towels. Why does it work? Shaving cream has many of the same ingredients found in commercial defoggers. 3.) Keep your headlights clear with car wax: That wintry mix of slush, snow and road salt can really do a number on your headlights. And if the stuff sticks, it can dangerously reduce your visibility. But there’s an easy fix: Just wipe ordinary car wax on your headlights. It contains special water repellents that will prevent that messy mixture from accumulating on your lights, so you’ll be able to get wherever you need to go this winter safely, and the protection will last for weeks. 4.) Prevent car doors from freezing shut with cooking spray: Spray cooking spray on the rubber seals around car doors and rub it in with a paper towel. Doors freeze when snow melts into the seals during the day, and then freezes at night, but the oils in cooking spray prevent water from melting into the rubber in the first place! 5.) Squeak -proof your wipers with rubbing alcohol: Are your windshield wipers squeaking, or leaving streaks that make it hard to see? If so, wipe them with a cloth saturated with rubbing alcohol or ammonia. These are solvents that cut through the buildup of grease and grime, the main culprits that prevents wipers from working properly. This one trick can make badly streaking wipers change to near-perfect clarity. 6.) De-Ice your lock in seconds with hand sanitizer: Can’t get your key in the lock on a frozen morning? Just put some hand sanitizer gel on the key and lock, and the problem is solved! Why? Hand sanitizers contain alcohol, which is the main ingredient in most commercial de-icers. Just make sure you carry a sanitizer that’s at least 60% alcohol. Sanitizers with less alcohol won’t work (and guess what, they won’t sanitize your hands, either). 7.) Get unstuck from the snow with your floor mat: You’ve no doubt heard you should keep a bag of kitty litter or sand in your trunk to use for traction if you get stuck on ice. But don’t panic if you forgot to buy any. Just turn off the car, and stick the rubber side of one of your floor mats under the spinning tire. Turn the car back on, put your foot on the gas, and it will provide the grip you need to get going!